This is the Part 2 of the post we started in here. In this second part we will use Icinga2 to monitor this list of metrics and be preemptively notified when the values go over preset threshold. Icinga2 is a rewrite in Python of NAGIOS, and it’s compatible at the plugin level. 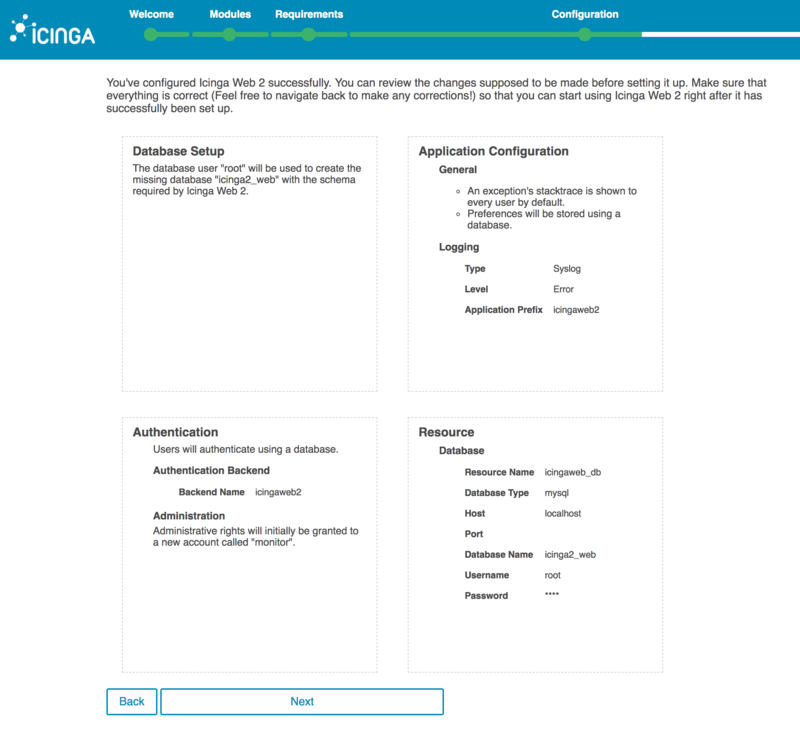 In the off chance that the built-in plugins that come with Icinga2 are not suitable for your needs, you can head to Nagios Exchange or even write your own. 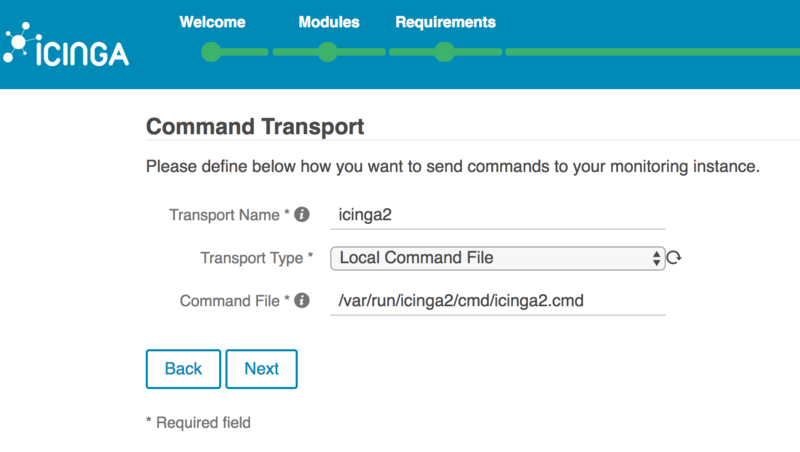 Icinga2 will send you email notifications when any of these resources run low. You can configure different threshold values for each metric to be monitored, but the defaults are a good starting point. Finally after the intro, onwards to Icinga2! Now we move on to installing and configuring Icinga2 to ensure email notifications get sent every time one of the resources in our servers run low. 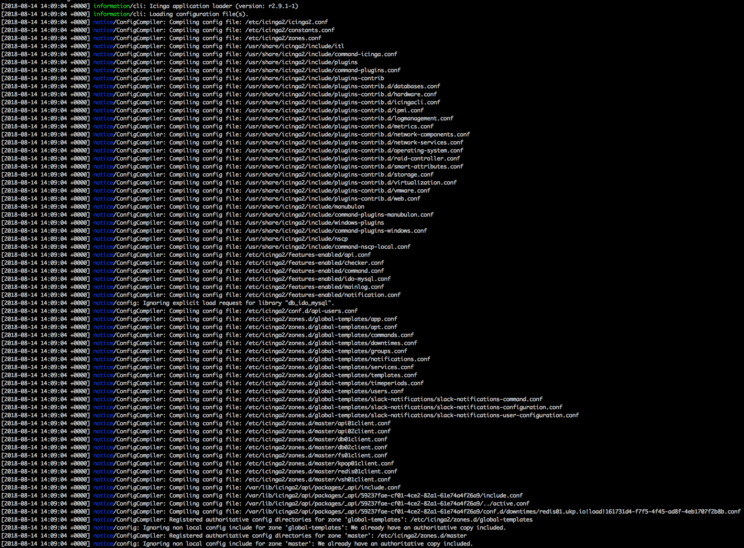 This node is the one that will collect all metrics from the client servers, handle notifications and run the Web UI. In a basic setup you only need one Master node. As your infrastructure grows, you may need to have intermediate servers to collect metrics, distribute configurations and send commands. These intermediate nodes are called satellites. 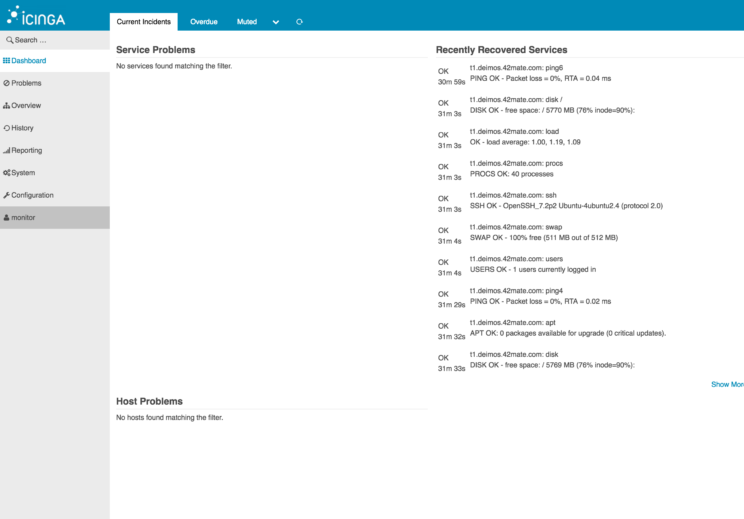 For more information on more complex setup, see Distributed Monitoring. If this is the first time you are installing MySQL you’ll need to choose a root password. Make sure you choose a secure password! 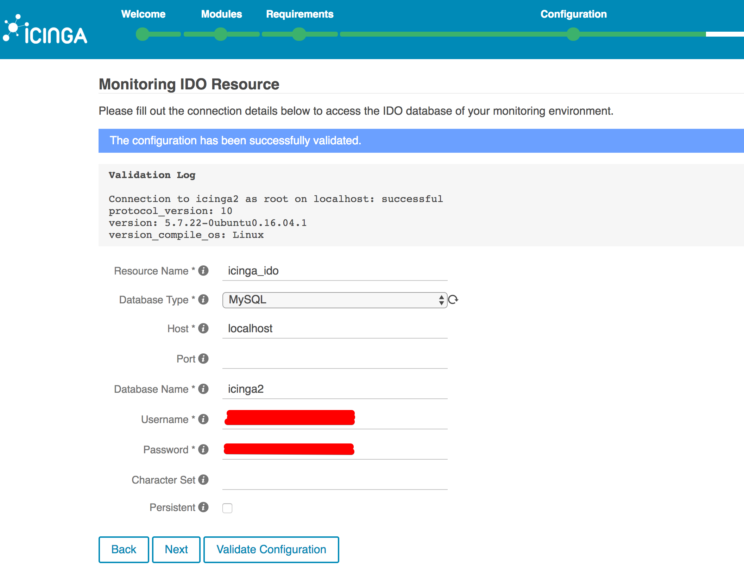 When icinga2-ido-mysql package is installing, it will ask if you want to enable the ido-mysql feature. Respond “yes”. 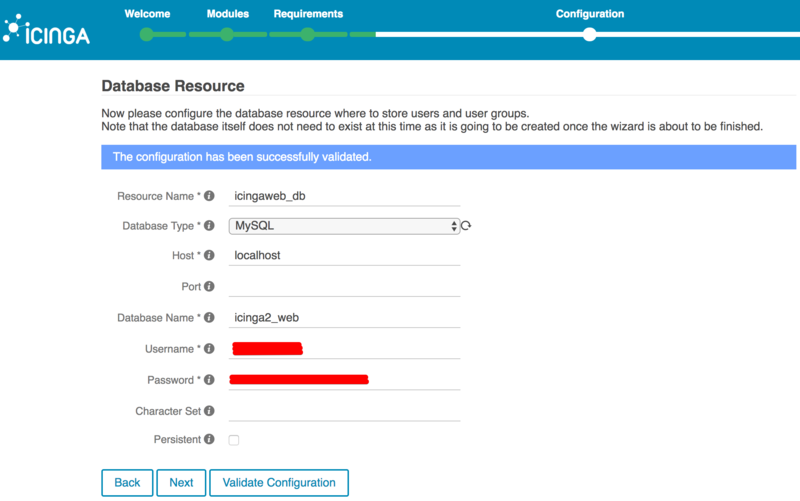 Next you will be asked if you want to configure the database for icinga2-ido-mysql with dbconfig-common, respond “yes”. 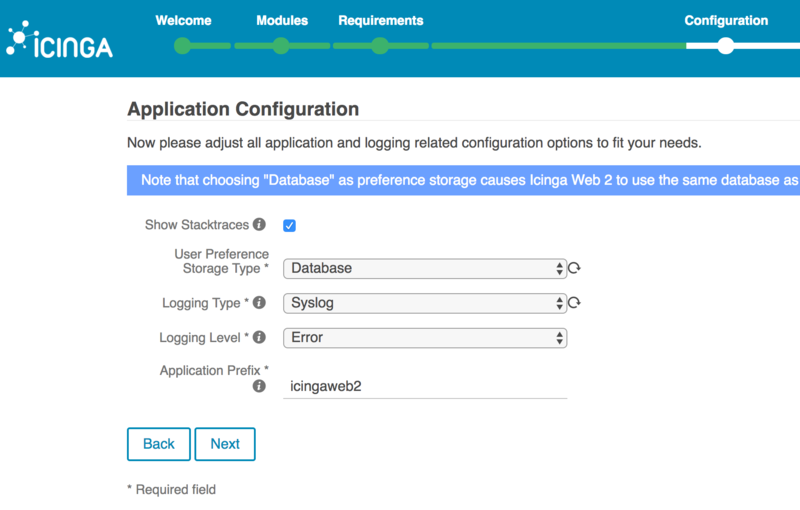 You will now be asked to setup a password for the Icinga2 database, again make sure to use a secure password please. 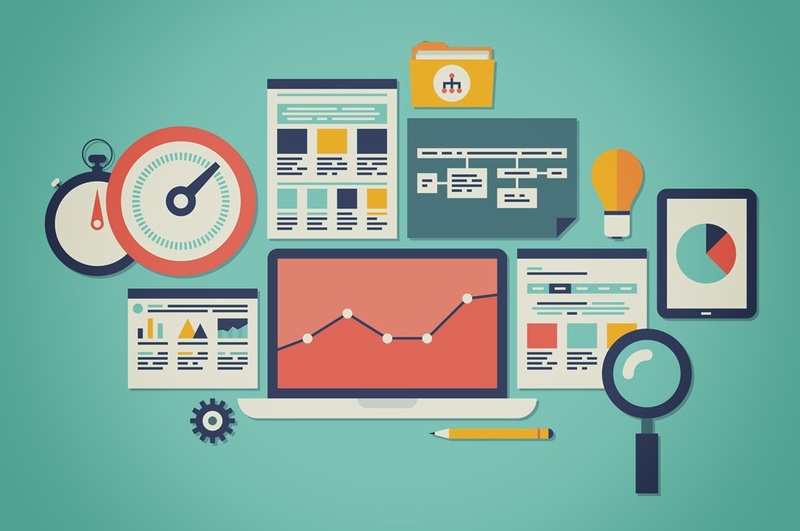 We need to create at least a configuration file to define what kind of services we want to monitor on each node of the cluster. We provide a minimum example that checks some basic services. You can create your own or re-use some of the other services provided by Icinga2. This is a very powerful tool and as such its configuration files are just as complex. For more information see Service Monitoring. description = "Set from address. Requires GNU mailutils (Debian/Ubuntu) or mailx (RHEL/SUSE)"
Because we have not yet setup security, you won’t be able to login just yet. Lets get going. Adjust the timezone accordingly to your location obviously. I’m not installing the PostgreSQL modules because we are not using that database engine for this tutorial. Now we can input a regex the WebUI will use to obfuscate information presented in the website and that goes out in notifications. If you are going to define any customemetrics that you don’t want visible in notifications, please add the name of the variables to protect here. If you don’t have any custom variables just click “Next”. This section shows how to setup each of the nodes that we want to collect metrics on to be reported to the Icinga2 Master Node. information/base: Writing private key to '/etc/icinga2/pki/node1.yourdomain.com.key'. information/base: Writing X509 certificate to '/etc/icinga2/pki/node1.yourdomain.com.crt'. information/cli: Requesting certificate with ticket '4997a5f64845b73ce591ccd95dbeee812adc8ef9'. information/cli: Created backup file '/etc/icinga2/pki/node1.yourdomain.com.crt.orig'. information/cli: Writing signed certificate to file '/etc/icinga2/pki/node1.yourdomain.com.crt'. 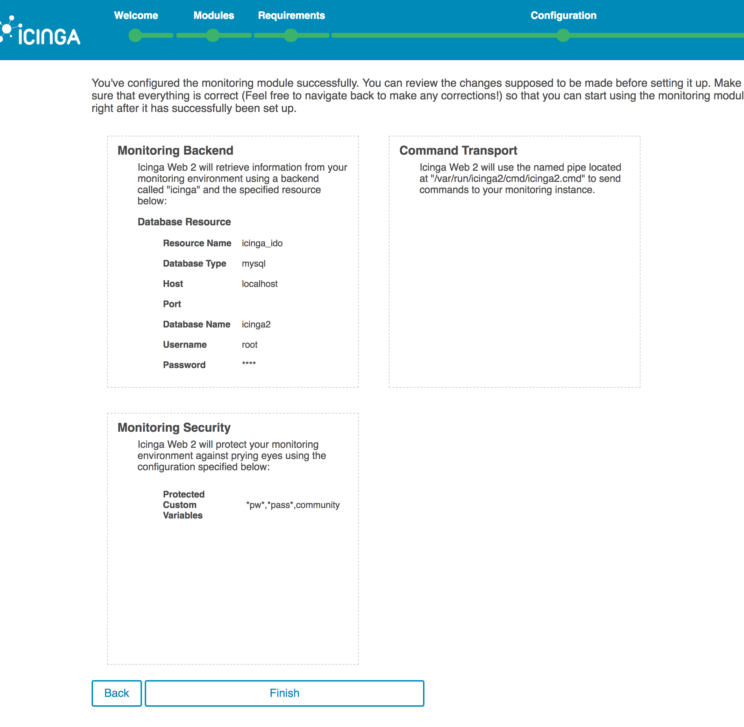 Once you are done installing Icinga2 on your nodes you’ll need to add a configuration file for each node you want to monitor. Tip: you will probably face some problems applying configs to the zones.d directory. To deal with it and debugging icinga2 provides an script to lunch the service as daemon and attach the console output to your screen. echo "Subject: sendmail test" | sendmail -v "[email protected]"
Once you are done with your testing, remember to delete that /tmp/trash file! As you can see the steps are many but the reward is grand: now you’ll know what your servers are doing all the time and get notified if you are running out of hard drive or whatever. Remember that we have provided minimal examples for each tool configuration, you can customize it as much as you want and set it up to monitor other kinds of things too, like the update status of Drupal modules or WordPress plugins. Maybe in a later post we can give some examples of that.